The Theory of Something - showing how the Quantum World to the Universe works - now reveals why quantum mechanics has reached its limits. Particles are complex structures with all of their mass outside the particle itself. Mass is no particle quality but originates from electromagnetism. The video is an illustration how a simple particle is a complex structure, with mass surrounding the particle rather than being inside the particle. Mass is not a particle quality and kg is not a base unit. Not even a super LHC can change that. Theory of Something, that in the fall of 2012 presented how the Quantum World to the Universe works, today reveals why advanced theories based on quantum mechanics have reached their limits. Mass cannot be included since its origin is not inside the particle, but outside in a complex structure often 100,000 larger than the particle itself. It is not even a particle quality. The simplest atom, hydrogen that only consists of a Proton with a core of 63 Negtrinos and an Electron with a core of 9 Negtrinos, still has a Grid room of 16,525 Negtrinos encapsulating the Proton and of 9 Negtrinos encapsulating the Electron. It is the redirected magnetic energy, 57 keV, of each Negtrino in the Grid room that gives mass to a particle. Mass is not in the particle core and it does not come from any Higgs particle. 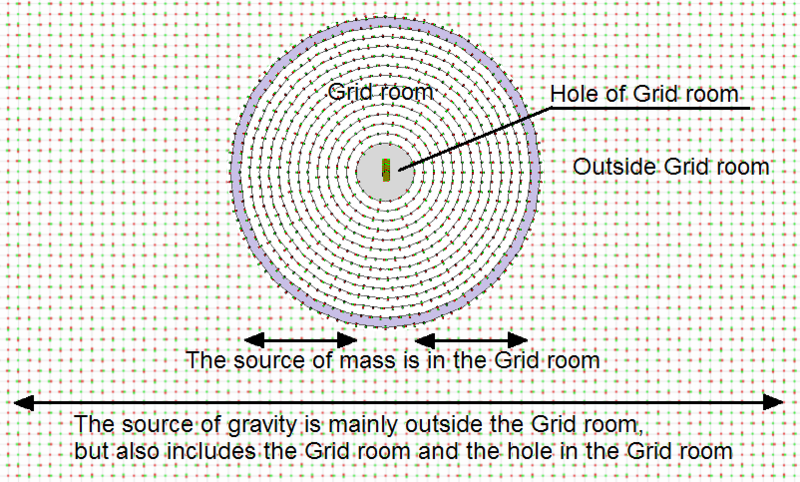 And the Grid room is about 100,000 times larger than the core. With such a structure for the simplest atom, it is understandable that it leads to the mysteries of the quantum world: Uncertainty, dislocality, with both a particle and a wave behavior. Quantum mechanics based theories can hardly be on the right track of describing mass and are very far from incorporating gravity. Albert Einstein stated that Quantum Mechanics could not be a complete theory, when introduced around 100 years ago. However, classic electromagnetism as completed by James Clerk Maxwell, has held its position in 150 years. The Theory of Something, http://theoryofsomething.com, presented in the fall of 2012, revealed how the quantum world actually works and its relation to mass and gravity: It is all electricity! The video http://youtu.be/q5pyRlqSbeE illustrates the basics of the Theory of Something and why quantum mechanics has reached its limits. With the Theory of Something reality it can now be understood why space-time curves around matter, as Einstein taught in 1916, and what a photon – the light “particle” – actually is. The Summary of the Theory of Something lists overwhelming support and proofs. That and the full 113 page illustrated theory are free to download from the Theory of Something blog. The Theory of Something (ToS) was presented in the fall of 2012 and provides an understandable reality of how the quantum world to the universe works. There is a single fundamental elementary charge particle – the negtrino – that builds up all other particles and also fills up all of space in a cubic Grid with negtrinos 10 pm apart. There are 3 room dimensions, time and charge at the fundamental level and classic electromagnetic theory rules. Mass and gravity are mechanisms where matter interacts with the Grid – They are not qualities of any particle and kg is not a base unit. From the single fundamental physical law, the electromagnetic force between moving point charges, all other physical laws can be derived. Newton’s gravity law, his second law of motion (F=ma) as well as the force accelerating distant galaxies have been derived in the ToS. These three forces acting upon mass (which is a charge increase in the Grid), as well as the strong and weak force of the standard model, are of electromagnetic nature and not carried by particles. No fine-tuning of physical constants, no energy emerging out of nothing, no extra dimensions, no new physical laws emerging now and then, etc. are required for universes to exist. The universe we experience was seeded at the Big Bang when the recently detected dark energy was injected into our universe. In the ToS, there is an understandable reality behind the current mysteries of the quantum world and the universes. Even the photon, what energy actually is, what a black hole consists of, how Something can emerge out of Nothing and more things are explained and can be understood in the Theory of Something.